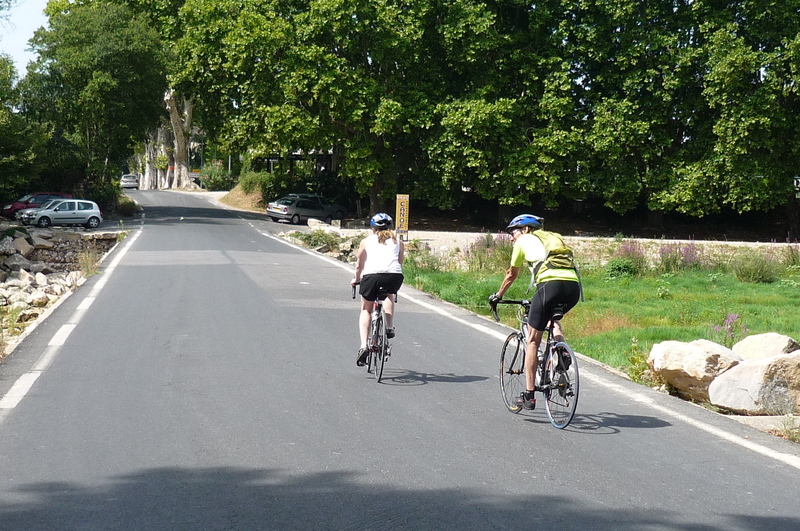 If you are an observant and devoted reader you may know that I’ve started to offer guided rides in my backyard here in Languedoc. Well, waddaya know, someone actually emailed me! I present you with Steve and Anne of New York City, my very first customers. We had two hot, sunny days together, so I had a good opportunity to show them around Le Sud. 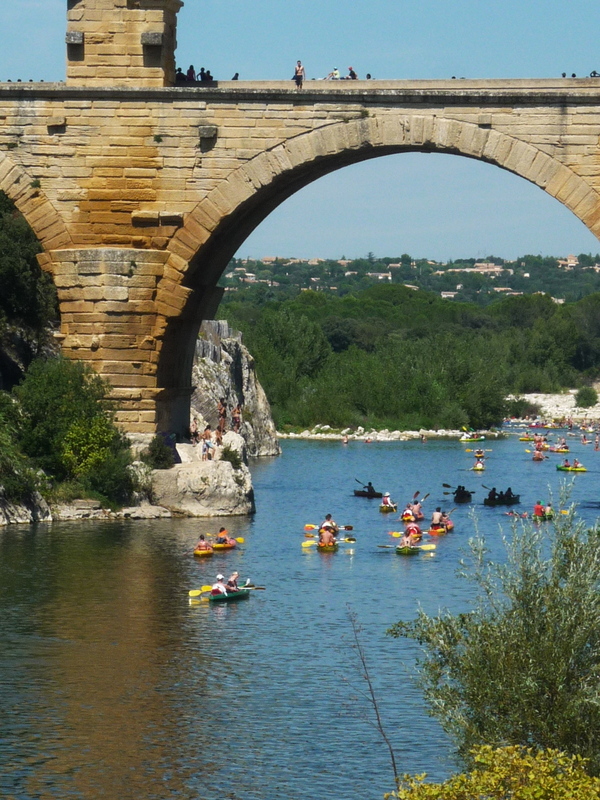 The first day was a loop from their hotel near Uzès to the undisputed champion of crowd pleasers – le Pont du Gard. The afternoon ride was pretty hot indeed, so we agreed that our 2nd day should be in the relative cool of the morning. 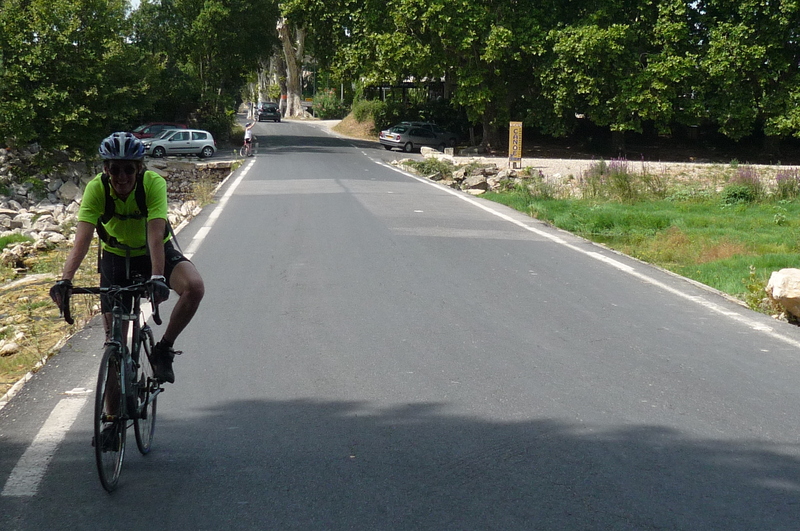 This time we met in Sommières, half-way to Montpellier, and rode into the department of Hérault to mix it up a bit. Here they are crossing the Vidourle River, just outside Sommières. And at the recently-upgraded (there is a nice little museum on the site now…and it’s free) Ambrussum archeological site. Shortly after this, in the little village of Saint-Etienne d’Escattes, Steve spotted a tree in the square and proceeded to get horizontal. I’d like to say I was riding too hard for him, but the opposite was probably true. There was much more, but I found myself out of blogger mode, so didn’t whip out the camera as much as I’d have liked. 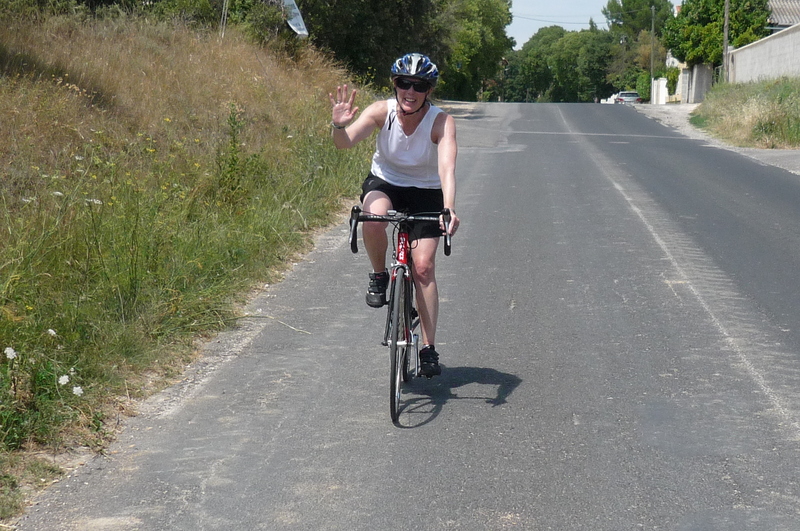 It was an excellent two days on the sunny roads of Languedoc though, helped in a large part by friendly, smiling customers. 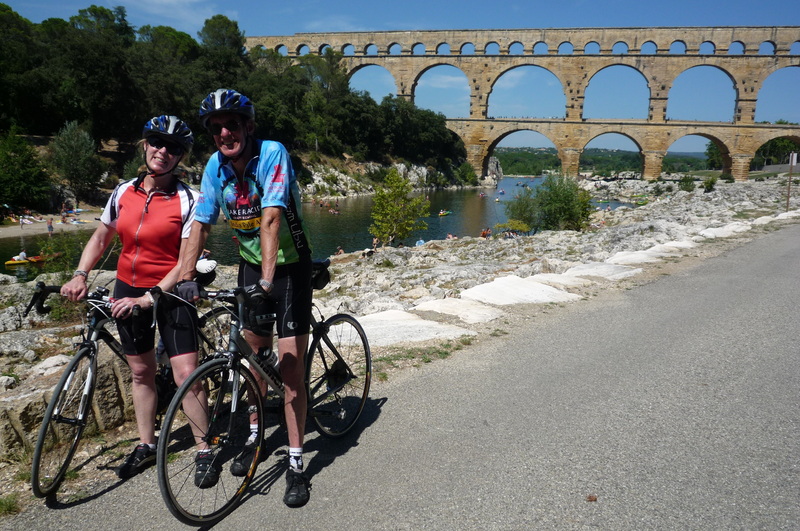 This entry was posted in Guided Rides and Tours and tagged guided bike rides languedoc. Bookmark the permalink. Having just returned from Provence myself, a guide would have been a great way to get around, as I can certainly relate to getting the map out at every intersection. Provence is the equivalent of cycling heaven and it would be even more enjoyable if I could have limited my stopping and starting to check the map for my bearings. Great photos as ever. I hope the guided rides business does well for you. Excellent idea. Thanks, Stephanie. I hope so, too!